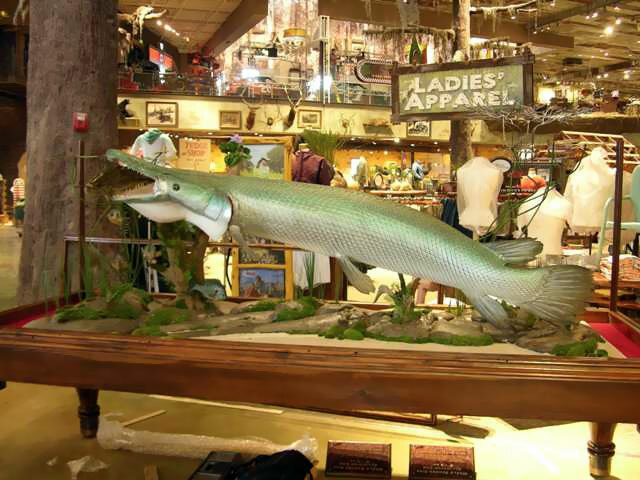 The alligator gar, Atractosteus spatula, is a primitive ray-finned fish. 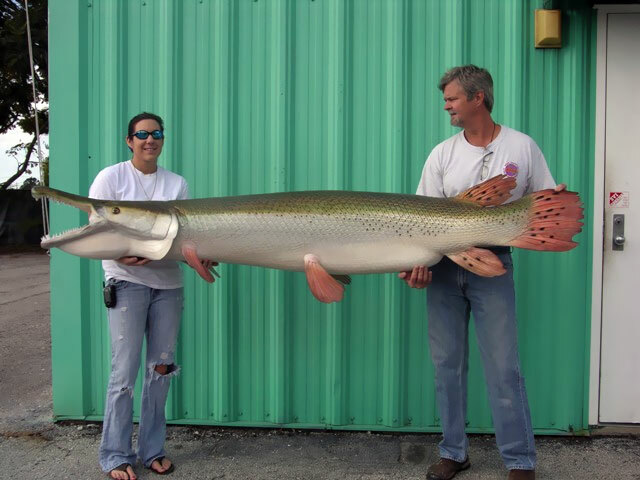 They are related to bowfin in the superorder Holestei (ho’-las-te-i). 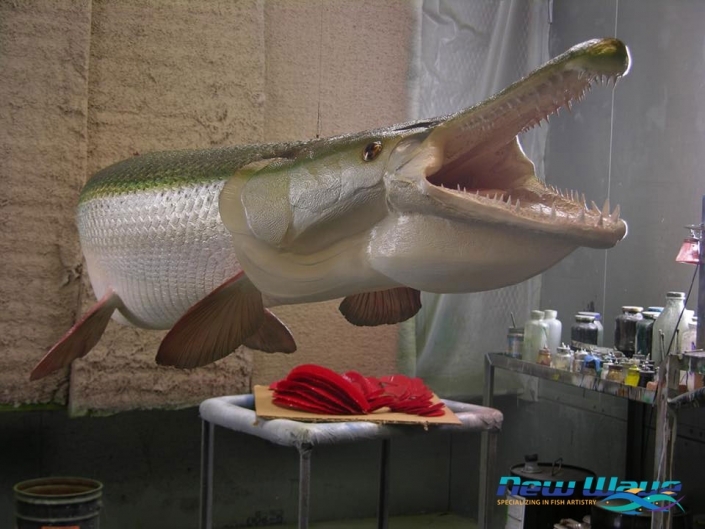 Gars are living fossils that have remained relatively unchanged since their earliest beginnings which trace back to the early Cretaceous, over a hundred million years ago. Unlike other gar species, the mature alligator gar has a dual row of large teeth in the upper jaw which they use for impaling and holding prey. 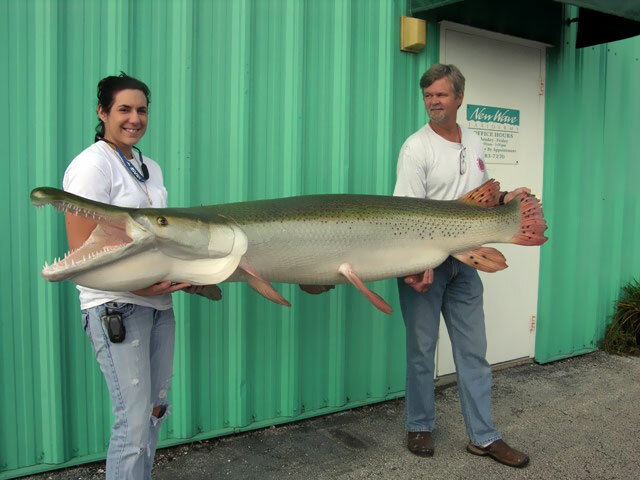 They are primarily piscivores but are known to eat waterfowl and small mammals floating on the water’s surface. 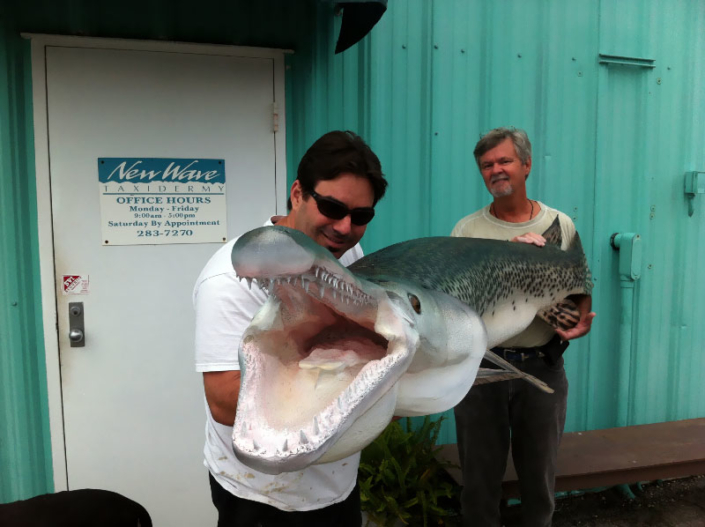 Its common name was derived from its resemblance to the American alligator, particularly its broad snout and long sharp teeth. 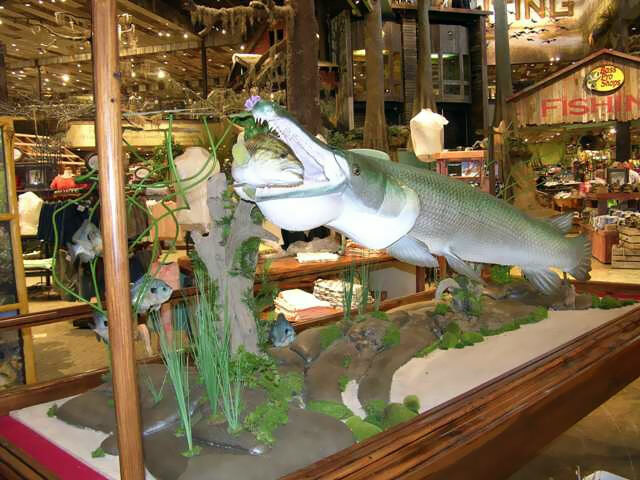 The body of the alligator gar is torpedo shaped which serves them well as ambush predators that rely on sudden bursts of speed to capture prey. The dorsal surface of the alligator gar is a brown or olive color, while the ventral surface tends to be lighter, a combination which provides the perfect camouflage for the turbid, and sometimes brackish waters they inhabit. 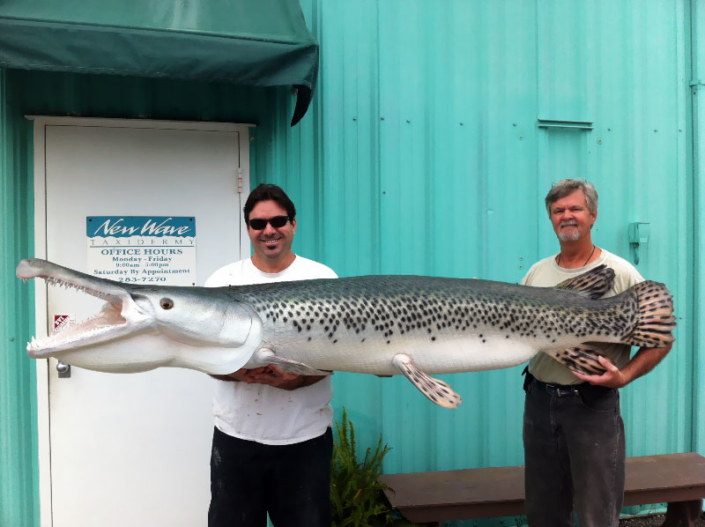 For the past half-century, alligator gar were incorrectly perceived as a nuisance species and targeted for elimination by state and federal authorities in the United States. They have been extirpated from much of their historic range due to habit destruction, indiscriminate culling, and unrestricted harvests. Populations are now found primarily in the southern portions of the United States extending into Mexico. 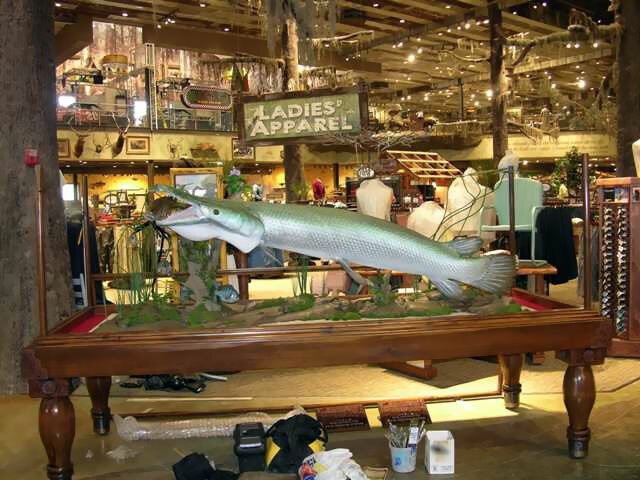 Over the past decade, opinions and attitudes have changed regarding the importance of alligator gar to the ecosystems they inhabit. 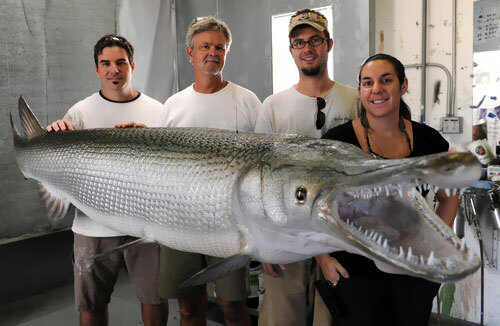 As a result, they have been afforded protection by restricted licensing, and under the Lacey Act which makes it illegal to transport fish in interstate commerce in violation of state law or regulation. 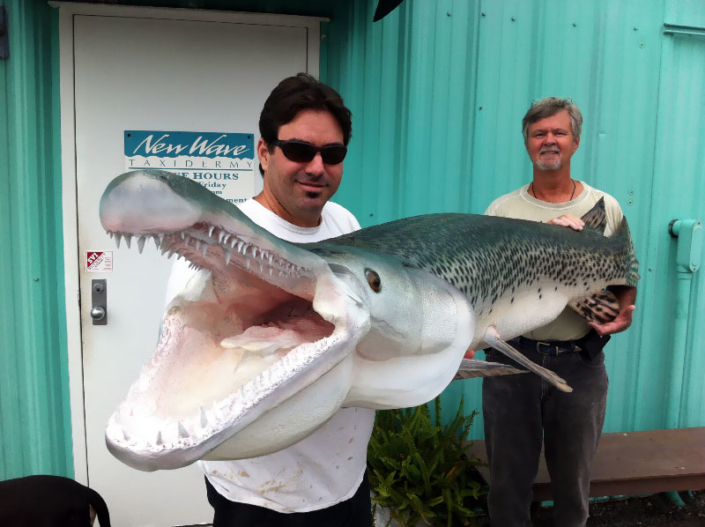 Several state and federal resource agencies are monitoring populations, and have initiated outreach programs to educate the public on the importance of alligator gar. 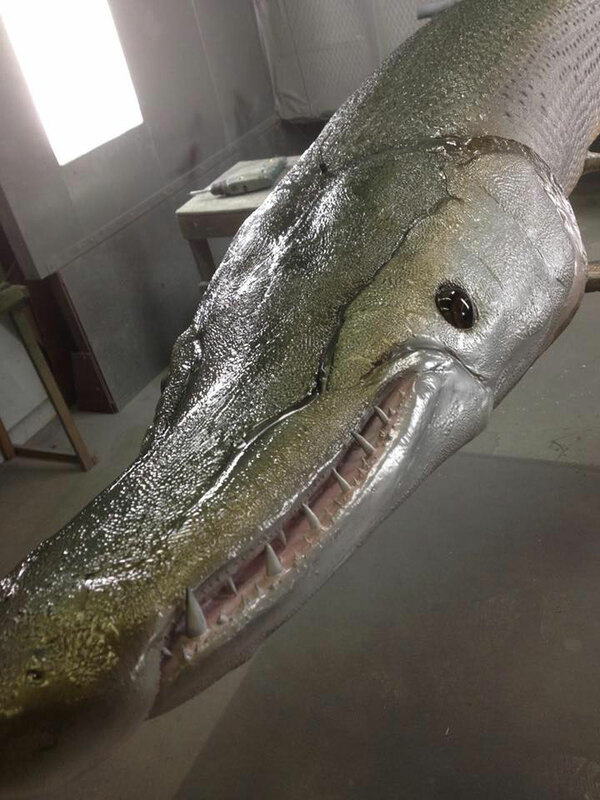 There are also restoration projects underway to reintroduce alligator gar into their native habitats.